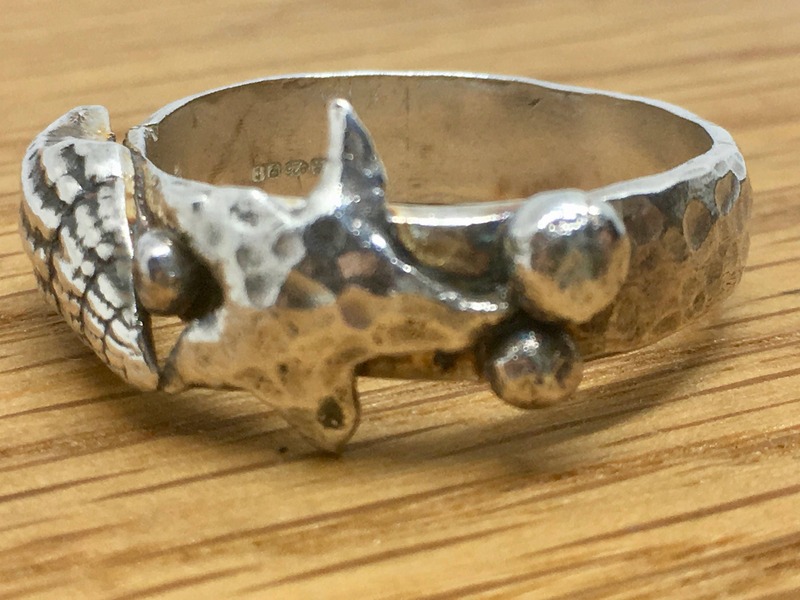 This is an unusual, handmade silver sea creature ring which would be the perfect gift for a beach or sea lover. 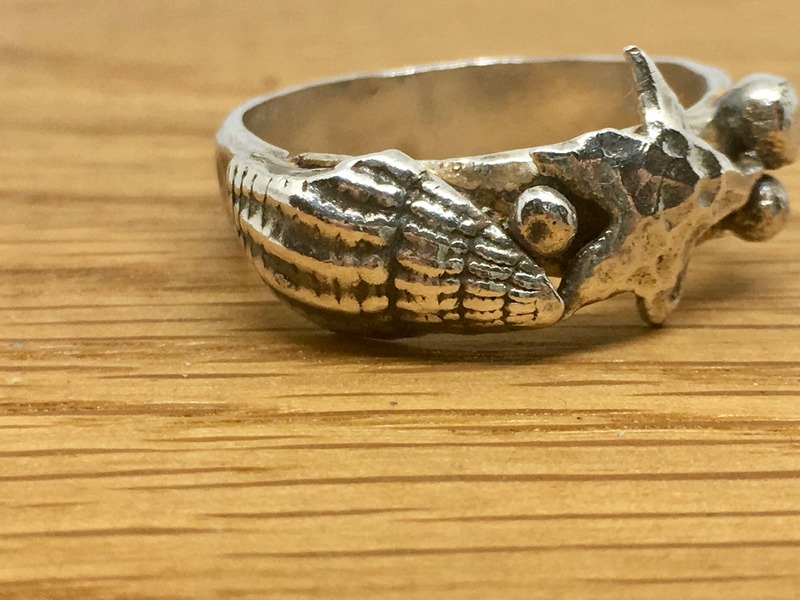 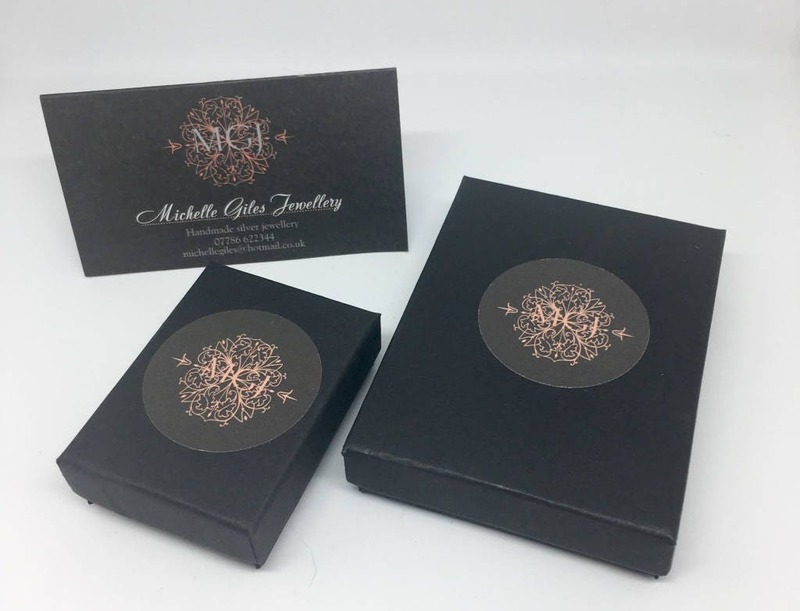 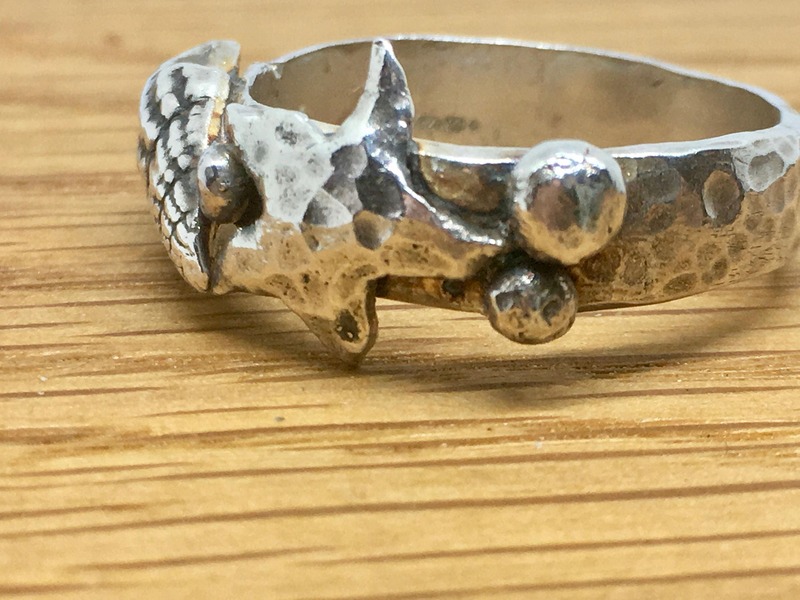 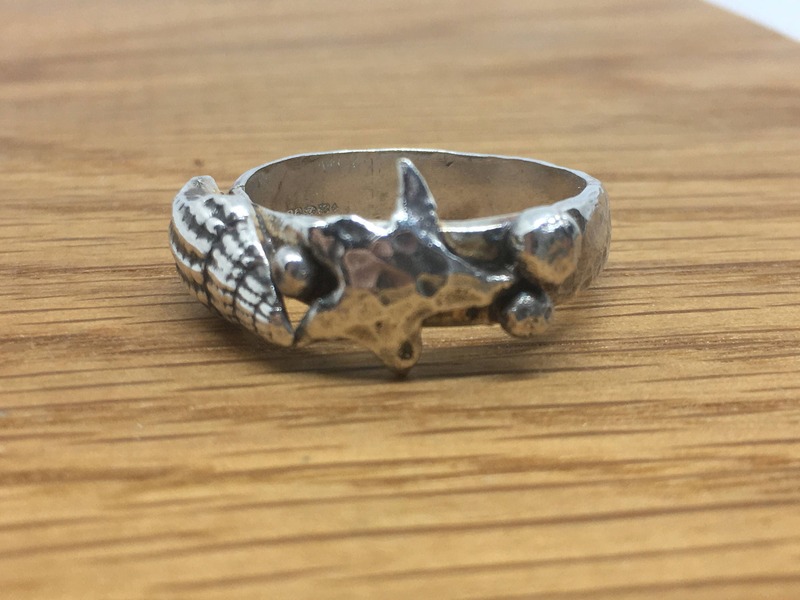 The substantial ring was handmade in fine and sterling silver using hand tools and traditional silversmithing methods and features a starfish, murex shell and other sea themed creatures residing on the shank. 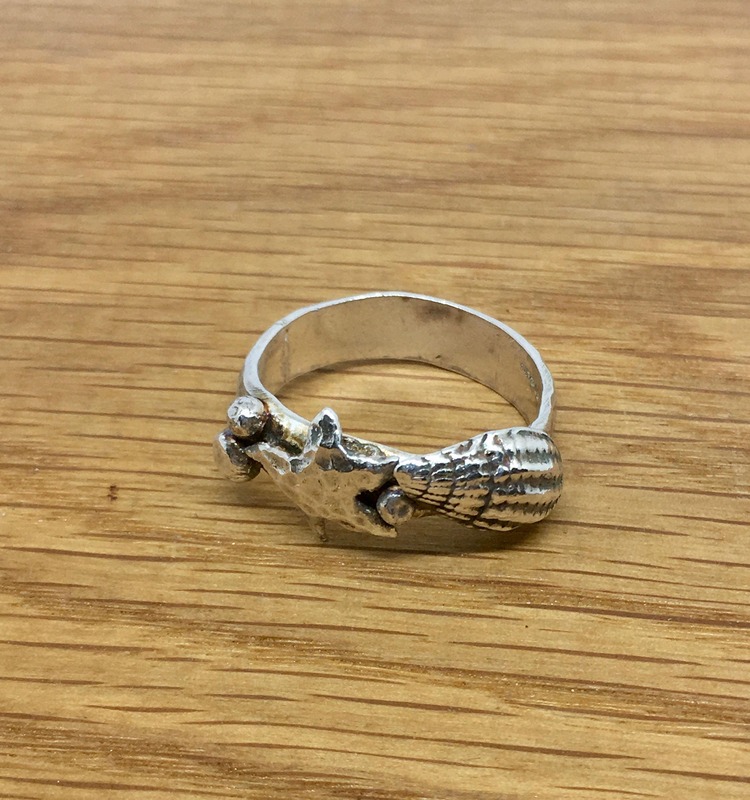 This ring is a size Z (US 12.75) and has been hallmarked with my makers mark at the London Assay Office to verify that it is fine and sterling silver.